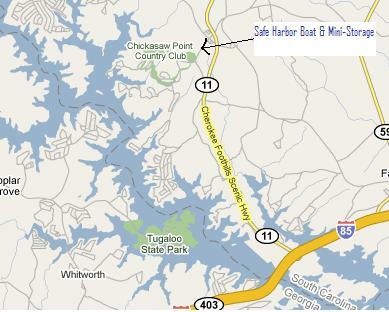 Welcome to Safe Harbor Boat & Mini-Storage! We are a family-owned self-storage business located just off Highway 11 in Oconee County, South Carolina, and just minutes from I-85 or Toccoa Hwy (Hwy 123). With quick access to several public boat ramps, you can load up your boat and spend the day enjoying the fun and beauty of Lake Hartwell.